What is Four Colour Process Printing? A four colour process printing system is where a coloured image is divided into four separate colours by using filters. Typically, this was done with photographic film and only available on a graphic arts camera but is now more accessible with the evolution of digital technology within the industry. The result of the process is a separation of colours that can be transferred and printed on a press with coloured inks - cyan (blue), magenta (red), yellow and black (CMYK). These inks can then reproduce the original colour of the image. The entire spectrum of colours can be reproduced using just these four colours, which is why the process is so widely used in the printing industry today. In order for the process to work, the colours of an image must first be split up into the four primary colours of the CMYK model. As technology has advanced and evolved, this is now done by a higher quality and faster process of “Computer to Plate” system. The actual process starts by using a conflicting behaviour of different substances. At this point, ink repellent and absorbent substances are on the plate, which both work together to transfer the ink from the press to the object. The printing ink is transferred from the ink absorbent areas via a rubber blanket fitted to the press, from where it’s then pressed onto the paper which is to be printed. The printing outcome is then layered with cyan, magenta, yellow and black one after the other so that the complete printed image is created. The colour, which is created from CMYK during the print process, is known as the process colour. This isn’t to be confused with the spot colouring process either though. Special colours can be produced over and over again with great accuracy. This is especially useful in helping businesses achieve brand consistency. The main reasons for you producing printed literature is to connect and reach out to your audience, isn’t it? Well, that’s why your printed marketing needs to be spot on. With your printing process, you can add a clear and concise message that is easily understood but is also designed in a visually striking way. You want your business to be remembered so what better way to jog the memory of your audience than an incredible marketing campaign? 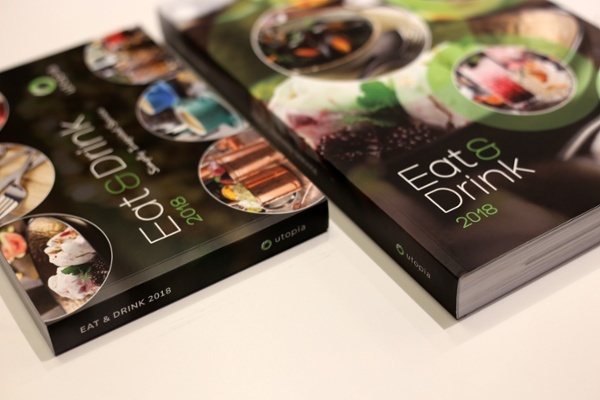 As technology has evolved over the last decade, people are starting to believe that print marketing is being overtaken by digital and is effectively dead. Wrong. Print mailing is still used today and can be very effective when paired with the right combination of online and face-to-face support. You’re more likely to open mail that looks fancy and eye-catching, aren’t you? So, once you’ve made your print marketing look great, you need to make sure the content inside it is nailed too. Direct your reader towards the next step in the journey you want them to take. Steer them towards your website or even encourage them to follow your social media accounts. There are plenty of innovative digital campaigns so it can be hard to get yourself noticed if that’s all you’re focusing on. But if you incorporate a truly creative piece of print marketing, you’ll find it much easier to live longer in the memories of your readers. As your efforts are limited to a sheet of paper as opposed to the unlimited online space, use it wisely and think outside of the box with your content, designs and layout. This can entice your audience and really make you stand out from the crowd. Another benefit is that the documents can use speciality inks to make them really stand out from all other mailings. For example, you can print a document using UV-sensitive ink. A document like this will only be visible when in the presence of natural light. Unique accents like this can not only help your brand catch your audience’s attention, but also become more memorable. At first, it might seem like getting the right quality of image from just four colours is near impossible. Well, stick to these quick tips and you shouldn’t be far wrong. It’s exactly what it sounds like - you’re separating the colours from an image into the four main primary CMYK colours. This allows for the most professional of prints. Top Tip: Errors made at this stage will only require further work correcting them at a later stage. So, this is the point in your printing process that you should take the most time to get it spot on. This one is simple - the higher the quality of the image the better the print. It really is as easy as that. Top Tip: For the best results, make sure that your work is the best quality you can provide. The right mesh count and help you produce the results you want. You need to pick the right mesh count for the product that you’re trying to print and the inks you want to use. Four colour process printing typically warrants the use of a 305 mesh count considering it’s very fine, allowing for extremely high detail textile printing. Top Tip: 110 to 160 mesh counts are most commonly used in printing due to their versatility. Discuss this with your printer as they will be able to give you more advice according to your specific requirements. Four colour process printing is just one printing option you could choose to produce your luxury materials. B&B Press used LED UV to produce a catalogue for Utopia as part of an annual product launch campaign. 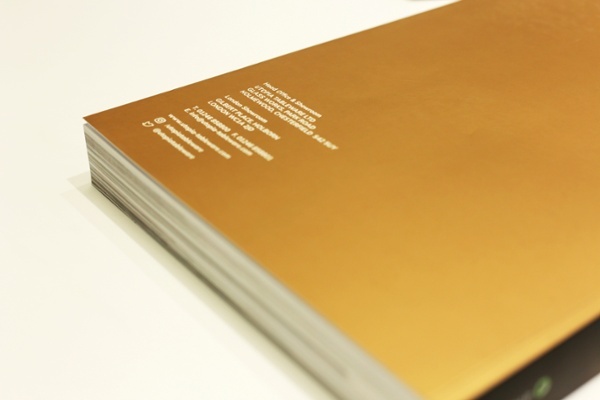 There were over 400 pages filled with exciting products but there were two things that gave this piece the wow factor: the gold ink that was used and the soft touch laminate coating. Want to see more examples? We're celebrating our 60th anniversary and have created a free pack containing our best jobs of the week. Download it below today and see what the right printed products can bring to your marketing campaigns.